As our lives become more digital and students spend more time online, the best way to keep kids safe online is by teaching them to be proactive about their own online privacy and digital footprint. Just as we teach students about expected campus and classroom behavior, guidelines for being a good digital citizen are instrumental in shaping the way kids use the internet to learn and interact with others. Introducing “Auto Pass,” a New Feature for e-hallpass! 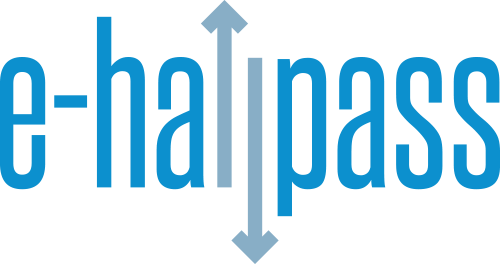 Auto Pass for e-hallpass provides teachers with hands-free pass management (meaning no teacher action is needed; no PIN or click) for student-initiated repetitive passes such as bathroom, locker, and water fountain visits. 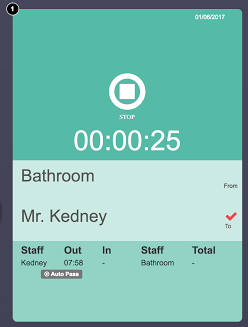 It allows students using e-hallpass to activate the timer on their own pass before leaving the room (turning it from red to green), and upon returning stop the timer (turning their pass from green to gray). How Does a Teacher Activate Auto Pass? There are two simple steps for activating Auto Pass — that’s it! 1) Look at the Auto Pass button in the center of the e-hallpass teacher dashboard. This button shows how many Auto Passes are currently active. The “Rooms” are locations (such as restroom, water fountain, locker), which are customizable by your administrator to suit your building’s needs. 2) Tap the Auto Pass button, and in the pop-up (pictured), select either of the Auto Pass locations available to you. In this example there are two options, and “bathroom” has been selected. Selected locations turn blue. 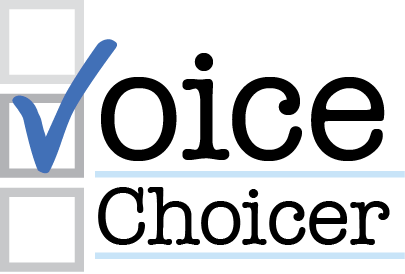 Click the “Close” button to submit, and the pass is activated! What Does Auto Pass Look Like for Students? The student pass displays ‘play’ and ‘stop’ buttons for the location selected by a teacher. Does a teacher have to turn on Auto Pass? Yes. If you don’t turn on Auto Pass for your room, then the regular way of activating a pass remains (using your teacher dashboard or entering your pin on the student’s device). Can a teacher use Auto Pass only for certain periods? When you want to turn Auto Pass on or off, simply click the Auto Pass button on the teacher dashboard and select or deselect any location, and those passes will instantly revert back to the teacher-required action (dashboard click or pin on student device). Are Auto Passes still tracked via the dashboard? Yes. All Auto Passes will appear in the teacher and staff dashboards and information about them will be available in all reporting. Provide students with a clear spot to place their device while on an Auto Pass. Some schools want to provide a place in the restroom to place the device, so that students can take their device with them. If students are to leave their device in the classroom, then consider using an empty desk near the exit, an area on the ledge of your whiteboard, a counter area, etc. This will help students know if somebody is already out on an Auto Pass (because they will see that the designated area is occupied by a device). 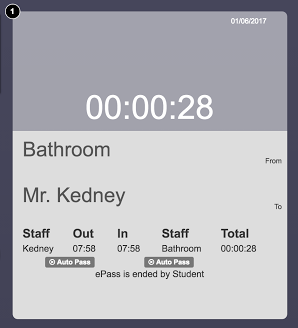 Let your students know that they are not to leave for the bathroom/water fountain until they have made eye contact with you and have shown you that their Auto Pass is GREEN (meaning the timer is active). Train your students to make eye contact with you and show you that their Auto Pass is GRAY (pass ended) upon returning to the classroom. To view a video example of Auto Pass in use, watch this short video.